Crazy Car Meet Goes Wrong! Home / Automotive / News / Crazy Car Meet Goes Wrong! Yup, car meets are cool but, every now and then, some people take it too far. In this clip, this 'underground' car meet starts off with fireworks, and it just goes crazy from there. Yup, burning rubber is the least of the trouble when this collective get themselves amped. Running from cops, freaking out the public and, generally, being reckless! Sounds like fun until someone loses a car to a fire... there's even a hellicoper! Video: Most Bizarre Car Designs Ever! 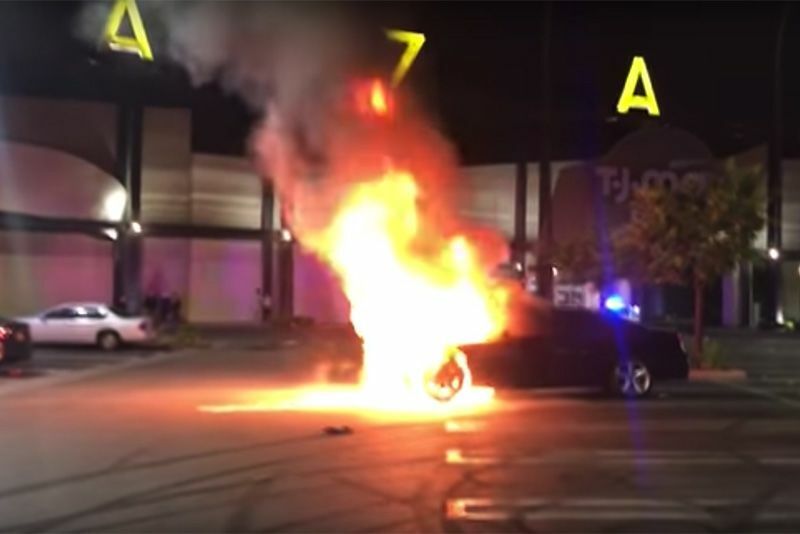 Video: The Mystery Of The Bmw Fires!! Video: Gatebil Rudskogen 2016 - Crazy Drifting Commence! Is This Half-Unmasked Mercedes-AMG CLA45 An RS3 Beater? Can You Drive Your 4x4 Underwater?